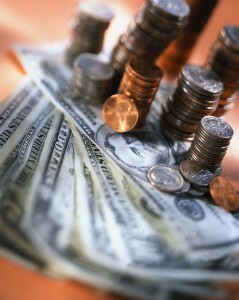 As if we didn’t have enough to balance in our lives, money is probably one of the most problematic for many of us. (Have you ever heard anyone complain they have too much?) Marriage therapists will tell you that money issues often exacerbate a fractious relationship and many people who divorce cite financial difficulties as a factor. And perhaps nothing is as impactful to our money management woes as credit cards. Ah, that warm plastic in our wallets lets us breeze through our purchases without a thought, that is until the bill comes in and all those “small”, and often impulse, buys start to rack up a substantial sum. We tell ourselves that using a credit card will help us better track our purchases and manage better, but it’s just so easy to pull out that plastic and, well, you know the rest. So what to do? Cut the cards in half? In today’s economy, that’s not realistic since for many purchases, such as reserving and renting a car or a hotel room or online shopping, credit cards are the only way to do so. Studies show that people have a higher willingness to buy when they’re instructed to use credit cards rather than cash; and the research indicates we’re willing to spend more by using plastic, up to 100% more in some cases! Credit cards are in a very real sense our passport to the economic mainstream in which we all swim. (Do you remember how excited you were when you received your first card?) And even after weathering the Great Recession data show that in the January-March period of 2013 new credit card accounts rose 5.6%. So here’s a novel idea: use cash, you know those green pieces of paper that clutter up your wallet or purse. Money management with cash puts limitations on what you can buy so you make a more conscious decision about the purchase. Budgeting then becomes easier because what you spent is how much green stuff you’ve got in your pocket or purse. Start the first of the month with a certain amount of cash and you’ll be much more aware of how much you really need to spend versus what you’d like to spend so that the latte you were going to have may become a much cheaper cup of Folger’s at home. Another strategy is to keep the receipts, you know those other pieces of paper that you cram in your purse and wallet that you later discard when you’re looking for something else. Then add them up at the end of each day; you’ll be surprised how quickly that wad of cash you started out with fled from your custody when you look at the detritus of your past spending. We’re not saying that only using cash is a viable approach for managing our finances in this modern life. But using more cash than credit cards can help you manage your cash flow and bring an understanding on where your money goes, how much the things you buy really cost you and help you decide if that purchase is really necessary or just a whim. A combination of cash and credit can help bring more control to your financial life so that you can focus on other important aspects of your life.